my in-laws gave me snowshoes for christmas. i love them. i enjoy venturing out on saturday mornings while the boys are off on skiing adventures of their own. 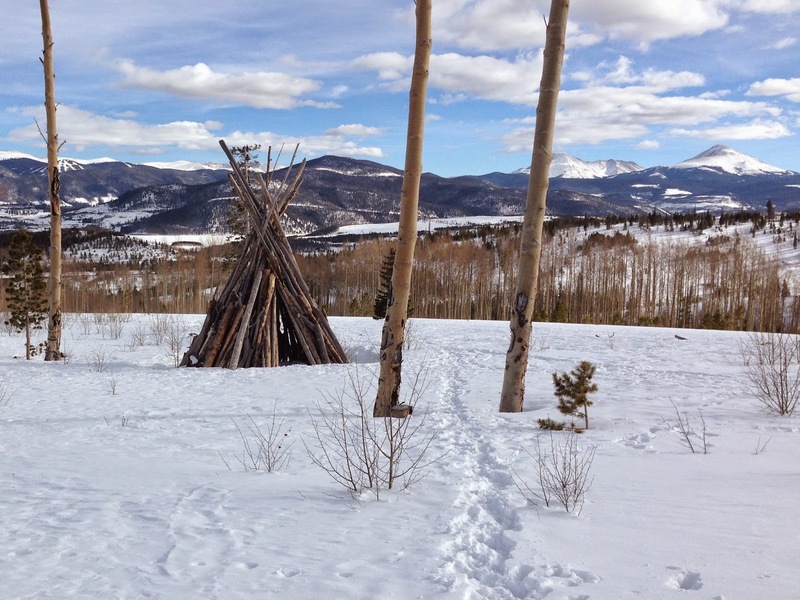 snowshoeing in winter is no more taxing than hiking in summer. 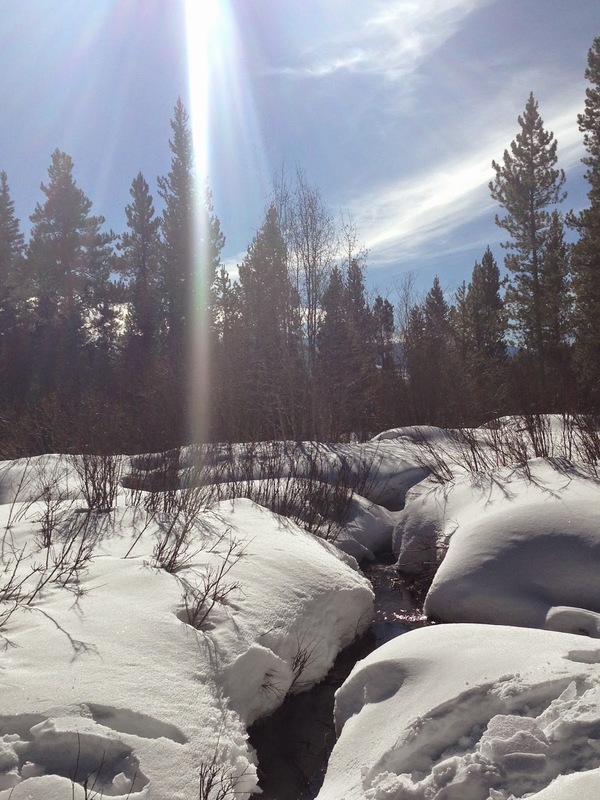 the cool thing about it, at least in the area i've been walking, is that the snow cover, and therefore snowshoes, allow me to go places i cannot get to in warm months. 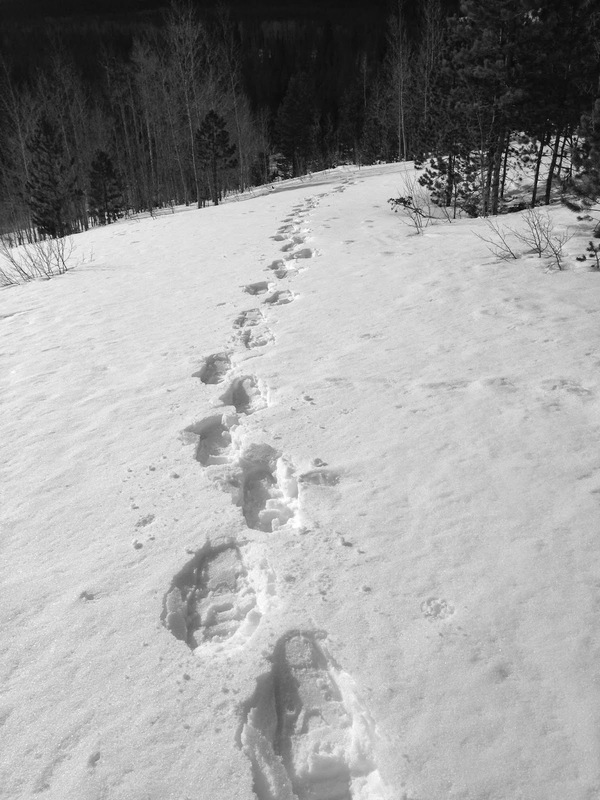 the national forest area across the street from our condo has clearly marked, well worn trails during summer but when snow hits it's a free for all. you can go wherever the heck you want as long as you're willing to put the work in to get there. after one of the first snows of the season i tried going for a walk on the land wearing only my boots. i hiked (slowly trudged) for thirty feet or so until i finally decided to turn around and follow my foot prints (the knee-deep holes i'd created) back to the sidewalk. snowshoes are very helpful tools. 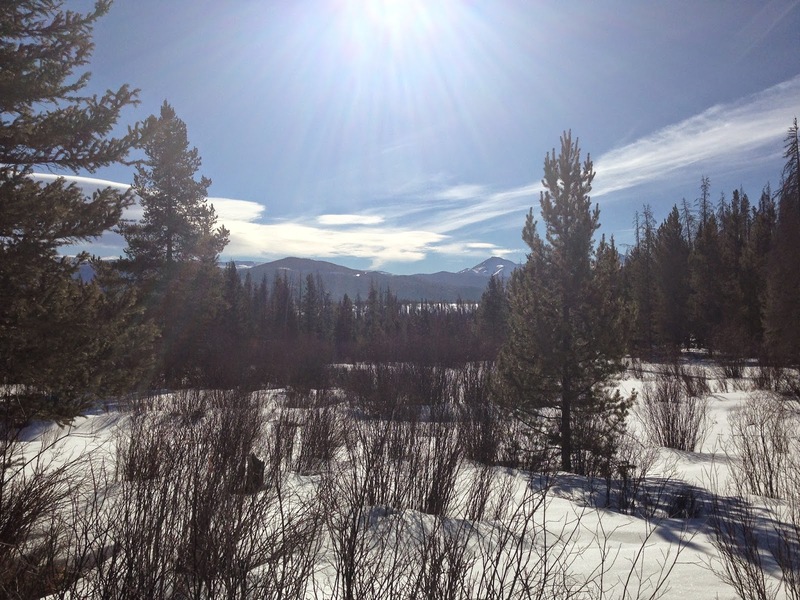 over the past six weeks as i've logged more and more miles i've come to realize something: snowshoeing is like life. sometimes you have to blaze your own trail. sometimes it's better to follow the trails of others. sometimes you have to backtrack. 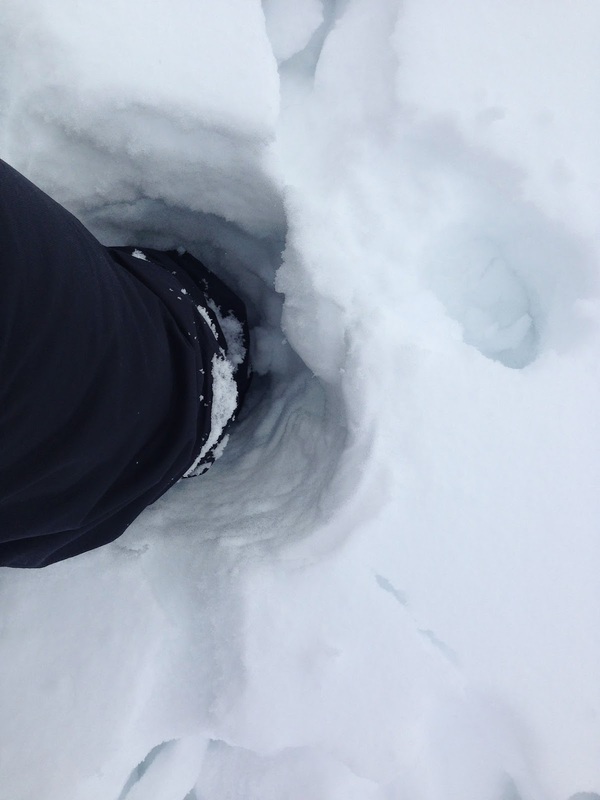 sometimes you think you're on firm ground but suddenly find yourself thigh-deep in snow. sometimes it's best to get the heck outta dodge. sometimes you get carried away by the beauty around you (or the good company beside you) and you go too far. this can be a lovely thing (adventure!) but it can create unwanted consequences (steep hill!). sometimes you have to take the bad with the good. sometimes you just gotta sit down and take a breather. it's best to simplify things. sometimes you just need to put one foot in front of the other.